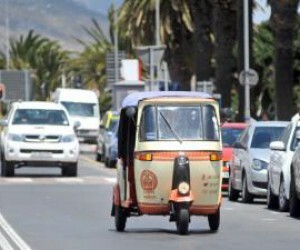 The tuk-tuk is used extensively as a mode of public transport in Southeast Asia, but the arrival of the three-wheeler taxis on Cape Town's roads was met with resistance from authorities, with one operator grounded while many others try to quickly enter the market. What would have been a very affordable, reliable and quick way to get around Cape Town for locals and tourists alike was quickly banned by the City of Cape Town until the correct regulations are in place. The problem is that tuk-tuks fall into a policy black hole, with no model for three-wheelers to be used as public transport in current plans. New rules are set be finalised later this year, though. Some 80 would-be operators have lodged applications with the City of Cape Town. Cape Town is beefing up public transport options. 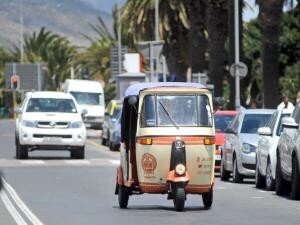 While the number of tuk-tuks found on Asian roads is unlikely to be replicated in the Mother City, it does see a role for the vehicles. Tuk-tuks, however, will have to fall within a regulated model that includes buses, minibus taxis and metered cabs in a city already battling traffic congestion.